RaazDawaKhana is serving the people for many years. This organization is one of the top most medical institutions where herbal medicines are prepared and advised to patients after a scientific research. RaazDawaKhana has been working towards creating, researching and developing Ayurvedic as well as herbal products to help us live a healthy lifestyle. Unani herbal medicines treat the mind body and soul from within and the effect will reflect automatically on the individual when she/he is cleansed internally. 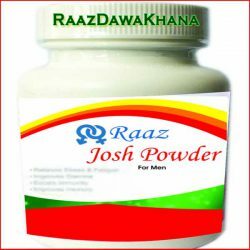 RaazDawaKhana provides medicine that would cure all chronic ailments as well as help in the uplifment of the physical self.